Congratulations to our Jane M. Klausman Scholarship recipient…. The Zonta Club of Oak Brook is proud to announce the 2018 Jane M. Klausman Women in Business Scholarship (JMK) Award recipient, Sonya Dekhtyar. Women make up nearly 50 percent of the global workforce; however, gender equality is not yet a reality in senior management and corporate boardrooms around the world. According to a 2014 Catalyst Census, women hold only 4.2 percent of the CEO positions and 19.2 percent of board seats at S&P 500 companies. To encourage more women to pursue education and careers in business, Zonta International established the Jane M. Klausman Women in Business Scholarship. Women of any age, pursuing an accredited business or business-related program who demonstrate outstanding potential in the field, are eligible and encouraged to apply. Our choice for the JMK Scholarship, Ms. Dekhtyar, exhibits a stellar level of initiative, ambition, and commitment in her career as she embarks on her MBA at University of Chicago Booth School of Business. Academically, Ms. Dekhtyar repeatedly earned Dean’s list recognition for her undergraduate work. 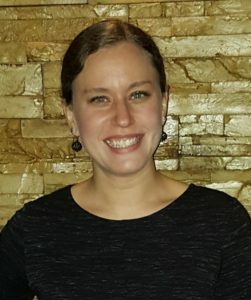 Her career accomplishments since joining the Chicago Transit Authority Performance Management team have proven her outstanding abilities to work closely and successfully with all levels of management and communicate easily, earning the respect and recognition throughout the CTA organization. 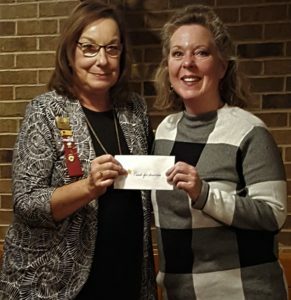 Ms. Dekhtyar was presented her $1000 award in a special ceremony at the September meeting of the Zonta Club of Oak Brook. And the Young Women in Public Affairs Award Goes To…. 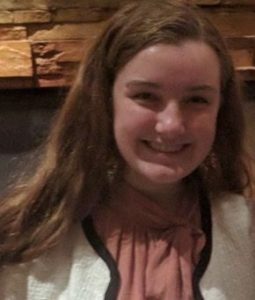 The Zonta Club of Oak Brook is proud to announce the 2018 Young Women in Public Affairs (YWPA) Award recipient, Cambria Khayat, a 2018 graduate from York High School in Elmhurst. The Young Women in Public Affairs (YWPA) Award recognizes young women for demonstrating leadership skills and commitment to public service and civic causes, and encourages them to continue their participation in public and political life. Applicants are asked to reflect on their voluntary commitment to their school and community as well as reflect upon the challenges limiting the advancement of women locally and globally. From leading the Young Politicians Club and the Model UN at her high school to her admirable work in orphanages at the Mexico-Guatemala border, Ms. Khayat exemplifies what it means to be a female leader. “We selected Cambria’s application because she was very enthusiastic and sincere regarding her future endeavors. She is passionate about her goals, which includes one day working for the United Nations,” said Donna Joss, Award Chairperson for the Zonta Club of Oak Brook. 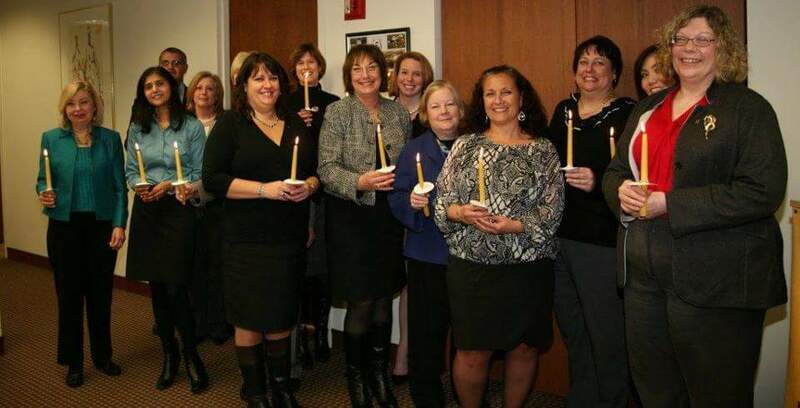 The Zonta Club of Oak Brook was chartered in 2012 as part of Zonta International –whose international headquarters is also located in Oak Brook, Illinois. Founded in 1919 in New York, Zonta is an international service organization focused on advancing the political, economic, social and educational status of women worldwide. Zontians work throughout the world to address the needs of women at all socio-economic levels. These needs include basic health, education, welfare, and human rights. There are over 30,000 members in over 67 countries and we are proud to be a part of it! 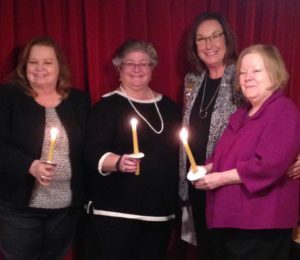 At another level, involvement in Zonta enhances each woman’s leadership and organizational skills, as well as enriches their personal lives. There are many opportunities to socialize and network nationally and internationally with business and professional women working in many different fields.